Is it possible that such a simple and inexpensive gift can have deep meaning? When i came across this craft, i was like YES..i love this! 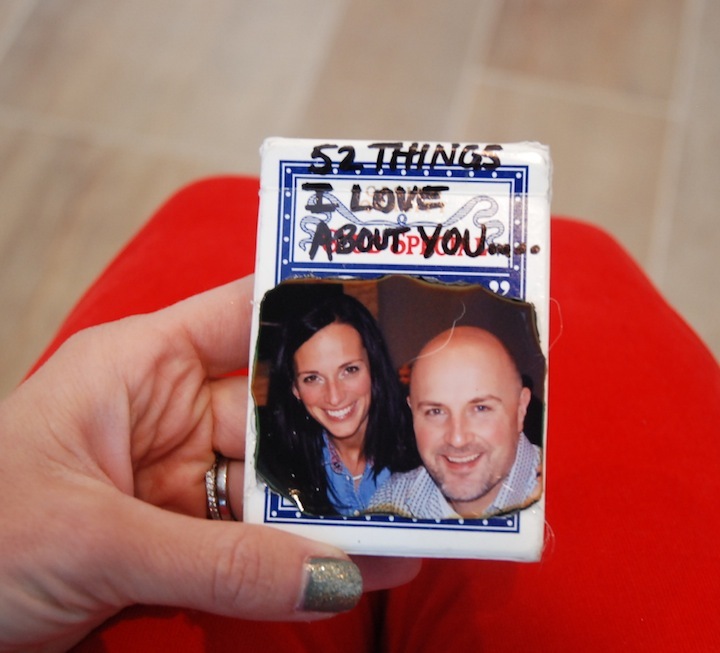 “52 things i love about you” proves that there’s no excuse to deek out on spreading the love on Valentines Day. 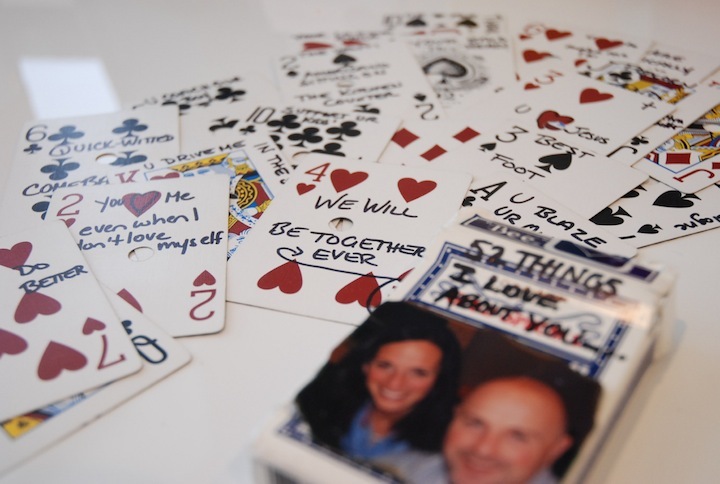 All you need is a deck of cards, sharpie and a little part of your heart! The idea is to take the time to think about you really cherish and love about your man, your kids, your parents…anyone who has a place in your heart. 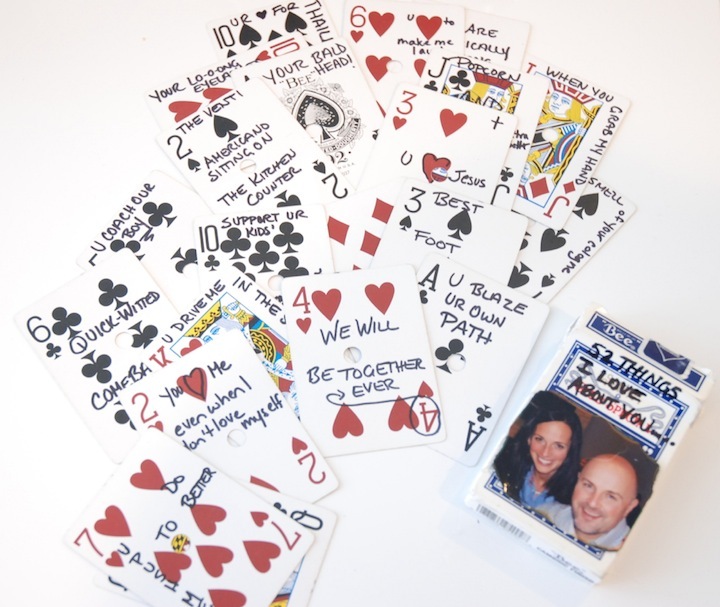 Jot something down on each of the 52 cards. I found it to be a therapeutic exercise in remembering the things big AND small that i love about Scott. When i was done, i felt positively melty about him. He’s a good guy!